Why Own a CCS Franchise? 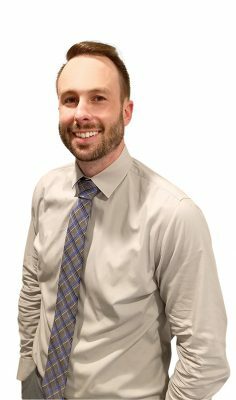 My name is Justin Longenbach, President of Classic Commercial Services (CCS) and I would like to Thank You for the opportunity to present information about our great company for you to review. We are looking for success driven individuals to duplicate our system and grow the CCS brand across the globe. CCS offers commercial cleaning services for carpet, tile, textiles, and provides disaster response services. Both are recession proof industries; businesses will always need to be cleaned and disasters will always happen! CCS just celebrated our 45th anniversary! With over 45 years in the industry, we have the experience to make your new CCS business successful. Any commercial establishment including hotels, resorts, offices, condominiums, restaurants, retail stores, casinos all are potential customers of CCS. All of them require frequent specialty cleaning services to keep their business looking the best possible for their customers. We take this huge customer base and combine it with our extensive marketing systems to grow your CCS rapidly. As of April 2016, CCS is an Avendra approved supplier. Avendra is the largest professional supply chain and hospitality procurement group in North America with over $4 billion of hospitality-specific purchasing power. Avendra member hotels includes prestigious brands such as Marriott, Hyatt, Hilton, Ritz Carrolton, Sheraton, Crown Plaza, Holiday Inn, and more. As a new CCS franchise, you will become a Avendra approved supplier which will allow access to an average of 300+ properties in your market. This offers a huge competitive advantage for your business. The CCS business model is designed to operate with minimal staff requirements. Our scheduling techniques will dramatically lower your overhead costs including labor, fuel, etc. We offer complete client/account management services including new account closing, 24/7 call center, account management, scheduling service, invoicing, service confirmations, and more. No need to hire additional staff, our corporate office can take care of these tasks so you can focus completely on growing your business. Ask us about these optional services. Classic Commercial Services was founded by Linda and Randy Longenbach in 1973. Linda and Randy were dedicated to providing only the best quality service and superior customer service in the Atlanta area and Southeast United States. Today Classic Commercial Services is now open in multiple cities and expanding rapidly across the country. Our growth and success could not have been possible without our loyal family of clients. We take pride in always providing the highest quality of work with attention to detail, and we strongly uphold our philosophy to treat each customer with the utmost professionalism and care. Classic Commercial Services has a very experienced leadership team with over 45 years in the commercial cleaning industry. Our team will help build your new CCS business and provide ongoing training & support. Justin Longenbach, son of Linda and Randy Longenbach, grew up in the cleaning industry. At the young age of 14, Justin starting working as a helper in the field during his summer break from school. This continued for several years until attending college. After graduating Auburn University for Business Management, Justin joined the CCS team in 2004. From 2004-2012, Justin did everything from outside/inside sales, job scheduling/management, staff management, scheduling, and customer service. In 2011, Justin took over as President/CEO of Classic Commercial Services. Giving back to the community is something we feel very strongly about, which is why we have created the Classic Cares Foundation™. 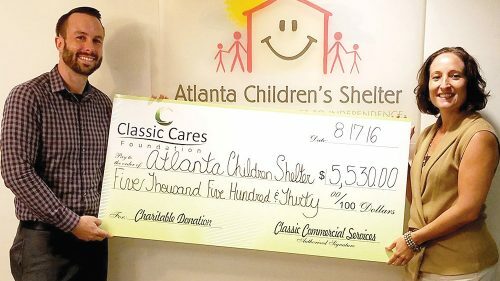 Founded by Justin Longenbach in April 2012, this foundation will receive a portion of every single invoice that is generated by Classic Commercial Services at all of their (6) locations and make a donation to a local charity. Every (4) months we will feature a new charity that will be receiving all donations for that period. Know of a great charity we should consider? Please contact us to let us know. I spent a long time looking at existing and start-up businesses. One of the things I noticed is how every one of the businesses had a “story”. Most of the “stories” involved claims of how wonderful and profitable the business was. With further research, I discovered the opposite was true. The message from Justin at Classic Commercial Services was an honest, believable presentation that I was able to trust from the beginning. Realizing that this was a young franchise, I knew that it may not have the infrastructure of a larger company. I believe that is best part of this business. You will be dealing with the owners, staff, and other franchise owners who actually care about you and about the success of your business, not just the numbers. Just over a year ago, I opened the South Florida location of Classic Commercial Services. Since this is a new start up and I have very little experience in the field, the help and support from Justin and his team has been invaluable. When Justin said call anytime, he meant it. The contracts that are in place have helped grow my business and given us a great first year. I would never had been able to do this without the support of the Classic Commercial Services family. Join a Team that’s absolutely dedicated to your Success. The communications made through this web site should not be construed as an offer to sell a franchise in, nor are the communications directed by or on behalf of CCS Franchising, LLC to the residents of, any jurisdiction that requires registration of a franchise prior to offering and selling the franchise in that jurisdiction. No franchises will be sold to any resident of any such jurisdiction until the offering has been duly registered and declared effective by such jurisdiction and the required Franchise Disclosure Document, if any, has been delivered to the prospective franchisee before the sale in compliance with applicable law.